Chicago’s downtown Loop is a great place to dine. But make your experience even more special by seeking out those historic Loop restaurants that have become local legends. From the first-ever department store eatery to a German favorite that began life as an 1800s tavern, you’ll discover classic Chicago Loop restaurants that serve up a heaping side of history. The Berghoff was established by German immigrant Herman Joseph Berghoff in 1898. He opened the tavern to showcase his family’s beer (which was sold for a nickel), with sandwiches given away for free. The Berghoff eventually expanded into a full-service restaurant, serving its own brewed root beer during Prohibition, and has been run by family members ever since. The Berghoff proudly displays its Chicago Liquor License No. 1 behind its original historic bar, the first license issued after the end of Prohibition. 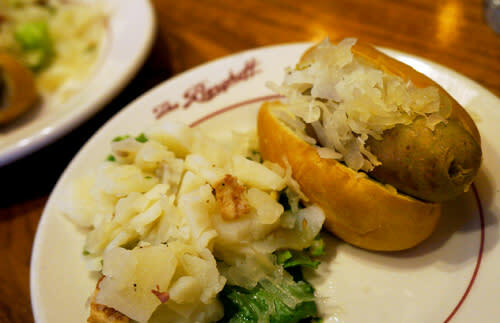 You can still order a frosty Berghoff beer, as well as classic German dishes like the Wiener Schnitzel sided with the restaurant’s famed creamed spinach and spätzle. Have lunch or dinner in The Walnut Room, which was the first-ever department store restaurant when it opened in the former Marshall Field’s in 1907. Today, it’s located in the flagship Macy’s on State Street, where it still retains its dark walnut paneling (imported from Russia) and elegant Austrian chandeliers. Be sure to order Mrs. Hering’s Chicken Pot Pie, named for a store clerk who inspired the restaurant’s opening, and don’t miss the signature Key lime pie for dessert. During the holidays, dine under the lavish Great Tree that’s the sparkling centerpiece of The Walnut Room. The Great Tree will celebrate its 110th ceremonial lighting in November 2017. 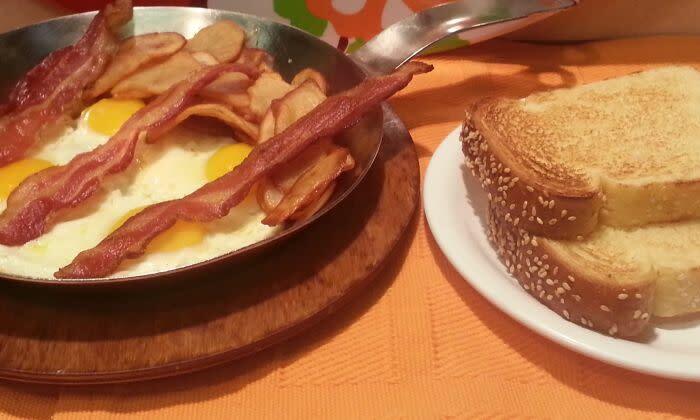 Lou Mitchell’s has been a favorite breakfast spot for locals and Route 66 travelers since 1923. This family-run diner prides itself on its warm hospitality, which includes free mini boxes of Milk Duds candies for women and children (handed out since 1958), and complimentary donut holes for all. The specialty of the house is fluffy jumbo omelets made with farm-fresh eggs and a huge selection of ingredients (try the version with sweet Michigan apples and Old English cheddar cheese) that are cooked and served in a skillet, sided with hash browns and toast meant to be slathered with Lou’s homemade orange marmalade. 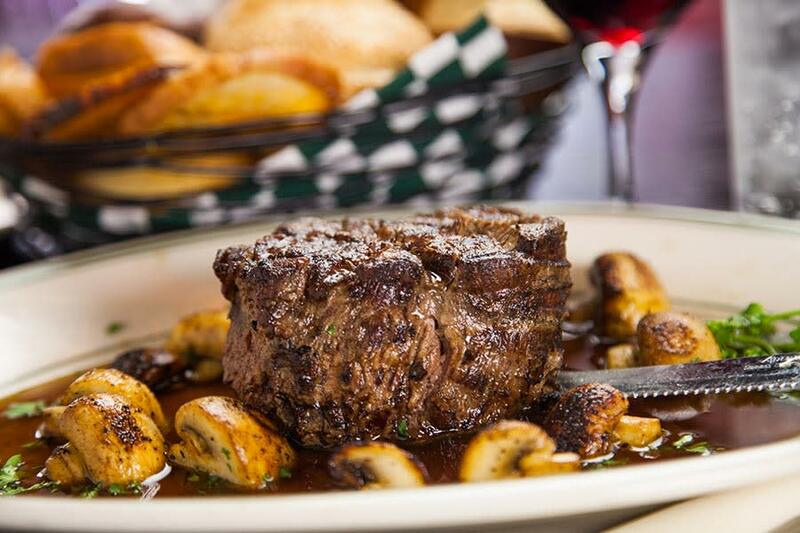 Owned by the Capitanini family since 1927, the downtown Italian Village is Chicago’s oldest Italian restaurant. During the course of its 90 years in business, the Italian Village has served 13 Chicago mayors, employed more than 40,000 Chicagoans (four current employees have been with the restaurant for over 50 years!) and dished out some nine million meals. 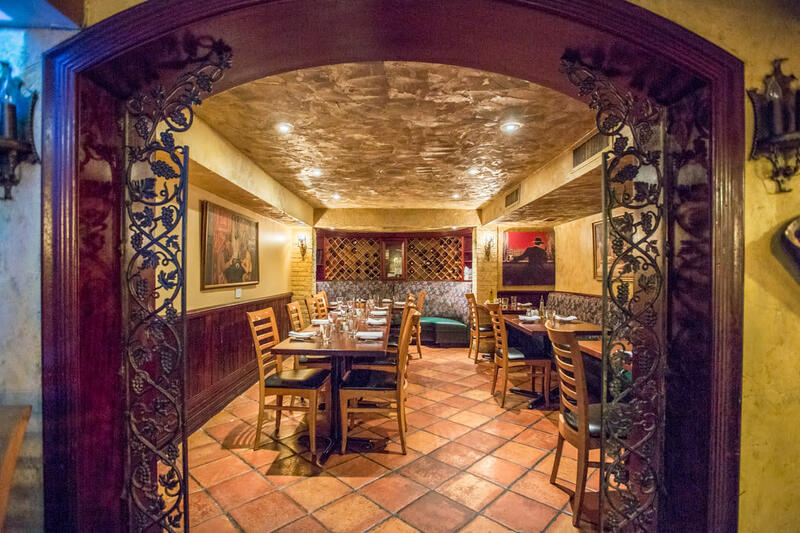 For dinner, choose from one of the three restaurants housed within the Italian Village: the wine cellar-like La Cantina, contemporary Vivere or The Village, a whimsically recreated Tuscan village complete with a twinkling night sky. Dig into a traditional Northern Italian dish like the Chicken Cacciatora served with grilled polenta and order a glass of wine from Italian Village’s award-winning collection of more than 35,000 bottles, making it the home of the largest on-site wine cellar in the Midwest. Established by the Miller brothers in 1935, Miller’s Pub has been a Loop fixture under the rumbling ‘L’ trains that travel overhead along Wabash Avenue. The restaurant was bought in 1950 by the Gallios brothers, but short on money they decided not to replace the sign, leaving the Miller’s Pub name intact. Over the years, Miller’s became a late-night celebrity haunt, as evidenced by the signed black-and-white photos of stars like singers Frank Sinatra and Tony Bennett that line the walls. The clubby atmosphere has changed little, accented with dark woods, vintage paintings and stained glass. Order the barbecued Canadian baby-back ribs or the Greek-style lamb chops prepared with lemon, garlic and olive oil. Check out these Chicago restaurants that are celebrating milestone anniversaries in 2017.